Bells will toll in unison across North Carolina and throughout the world at 11 a.m. November 11 to commemorate the centennial of Armistice Day. When the Armistice ending World War I was signed on Nov. 11, 1918 at 11 a.m., bells rang in celebration around the world. 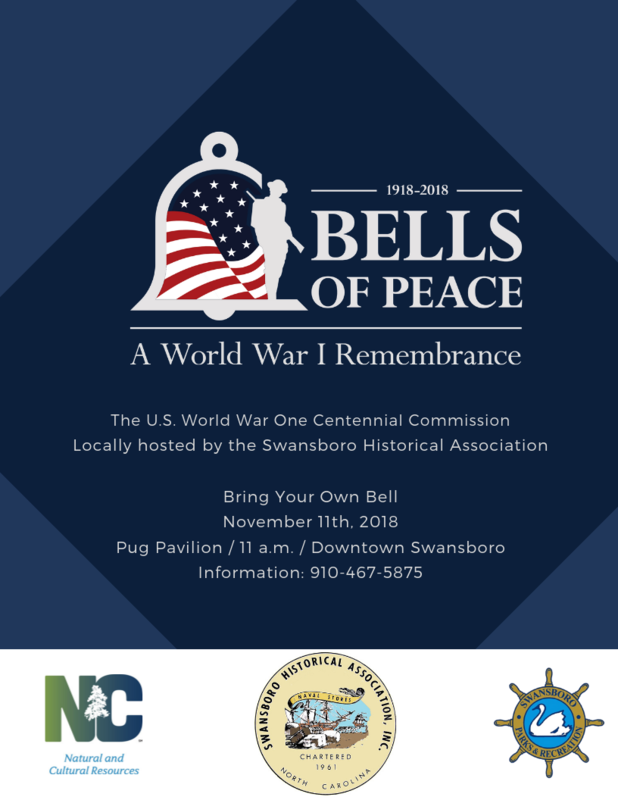 To celebrate the 100th anniversary of the Armistice, the Swansboro Historical Association has partnered with the Town of Swansboro and the N.C. Department of Natural and Cultural Resources to ring bells 11 times at 11 a.m., Sunday, Nov. 11. Join in unison at the Harry C. Pugliese “Pug” Pavilion at 11 a.m to #tollthebell. 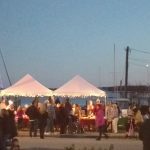 Bring your own bell to ring or bells will be provided by the Swansboro Historical Association in the moments leading up to 11 a.m.